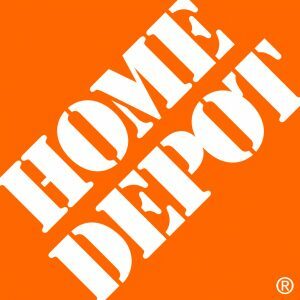 Home Depot Inc. (NYSE: HD) beat Wall Street forecasts for earnings and revenue for the second quarter of its fiscal year. The company reported that net earnings rose to $3.5 billion or $3.05 per share in the three months ended July 29, up from $2.7 billion or $2.25 per share a year earlier. Analysts polled by Thomson Reuters I/B/E/S were expecting earnings of $2.84 per share. Home Depot reported revenue of $30.5 billion, an increase of 8.4 percent year-over-year and beating expectations of $30.03 billion in revenue. Home Depot said its results were helped by a sales rebound from the first quarter. Cooler-than-usual weather in some parts of the country drove down demand for many spring-season products, including indoor and outdoor garden products, lawn-mowers, and paint. Sales of those items recovered in the second quarter, helping sales at Home Depot stores open for more than a year rise 8 percent from the same quarter a year ago. Analysts had expected an increase of 6.65 percent. The sales rebound comes during what appears to be a slow-down in the housing market. According to government figures, sales of new U.S. single-family homes fell to an eight-month low in June. The government also revised the housing data for May sharply lower. The home improvement chain has raised its earnings and revenue forecasts for the year. It now expects its full-year earnings to be $9.42 per share, up from a previous forecast of $9.31. Comparable sales growth is expected to be about 5.3 percent, up from a previous forecast of 5 percent. Total sales growth has been revised to about 7 percent, up from 6.7 percent.